The owners of Coast to Coast Development Corp. encompass more than 80 years of commercial and residential building experience. The owners of Coast to Coast Development Corp. have built commercial buildings and offices for over 100 businesses. We’ve built more than 225 homes in Boulder County in the last 10 years. As a residential subsidiary of Coast to Coast Development Corp., we are currently building and co-developing new homes in Northfield Commons, Northfield Village and Kalmia 38 in Boulder, Colorado. 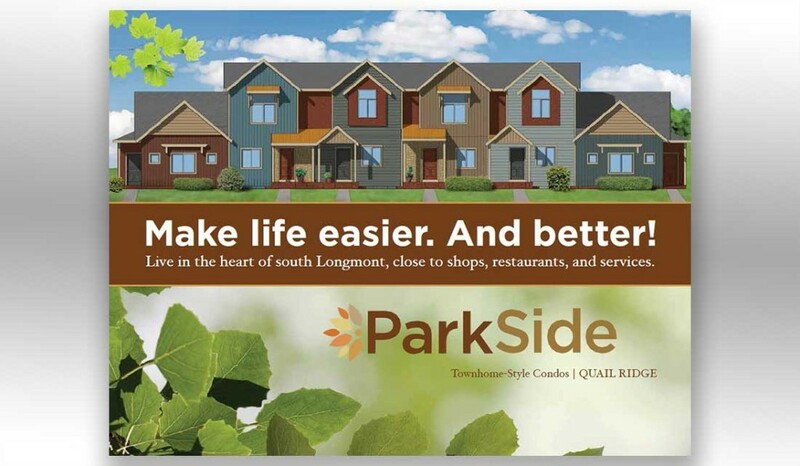 Coast to Coast Development’s newest subdivision, Parkside, is in Longmont Colorado and consists of 93 townhomes and 36 single family homes. At Coast to Coast Development Corp. we focus our philosophy on quality, energy efficiency, and being built green. From inspirational designs and construction excellence to environmentally friendly materials and practices, our customers know they’re getting the very best. After more than 30 years as a commercial and residential builder in Boulder County, and over 80 years combined experience in the construction industry, we know how to deliver quality homes and commercial buildings. We use quality materials and proven building practices, and we strive to pay close attention to detail so that we remain a leader in the industry. Our company’s goal is to conserve resources and save energy. And we’ve been incorporating green building and energy efficiency methods long before buyers like you demanded energy efficiency and environmentally conscious building practices. We are proud of putting our name on the houses we build. This means we make sure the work is done right. We even live in houses in the communities we build. We’re on location. Unlike many builders, we’re at our building sites every day. Our hands-on involvement in each step of the process ensures that our buildings meet our own strict quality standards. We work in a limited number of locations, which means we can respond quickly our clients’ needs. Feel free to view our current list of homes. Owned and operated by Bill and Jeff Eckert, Coast to Coast Development Corp. was established in Boulder, Colorado in 1989. Prior to then, the Eckerts worked in different parts of the country, honing their construction skills and business experience. Throughout the years, the Eckerts’ commitment to quality has guided Coast to Coast Development Corp. to become one of the premier builders in the Boulder County area. With Coast to Coast you get a team of dedicated professionals with a passion for creating extraordinary homes and communities. When you choose Coast to Coast,Development Corp. you have the opportunity to work closely with your builder and become an active participant in the building of your home or commercial property.